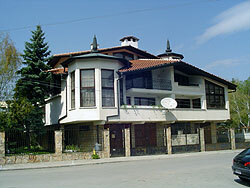 Bankya is a safe, uncrowded residential area only 20 minutes away from the city centre. The neighborhood has a great family-friendly vibe, since it is mostly populated by young professionals and their families. There are nice family homes with spacious gardens and lots of greenery, but other residential buildings have been springing up recently. Property in this neighborhood is still quite affordable, though some real estate analysts are predicting a boom. Besides its excellent living conditions, Bankya also offers old churches, charming small hotels, and good restaurants, and there are also medical spa centres, a mineral beach, and famous mineral baths and springs. Families who move here can expect to pay lower utilities bills—the neighborhood is fitted with a propane gas network that offers lower-cost heating and other electrical needs.